Britain's steel industry looks a little more secure following Tata Steel's commitment to keep its Port Talbot plant open at least to 2021. But despite this stay of execution the long-term future in Britain of large-scale steelmaking is far from certain. The announcement early in 2016 by India’s Tata Steel that it was looking at selling or closing its main British plants threatened tens of thousands of jobs and cast a shadow over the country’s manufacturing. While the mood has calmed following the company's recent change of heart, big questions remain over the core of the UK steel industry: producing sheet metal for uses including car manufacturing and construction. As a result, we may within a few years be forced again to consider a UK exit from almost all steelmaking – Stexit. The media attention has sometimes given the impression that steel represents a key part of UK manufacturing and that its loss would amount to a massive setback for industry. While closure would be a disaster for many individuals and communities, the truth is that the eventual end of UK volume steelmaking would have only a minor impact on the broad production sector. There would be few repercussions on the growth areas of UK manufacturing where wealth and job creation are expected – the areas which Made Here Now is focusing on and which need more young talent. But before going into this, what of the immediate prospects for UK steel? Recent developments have been positive. A big Tata plant in Scunthorpe making long steel products such as wire and rod was sold for a nominal sum to Greybull, a financial group, indicating that at least one of the UK’s remaining plants has a viable future. Another factor was Britain's decision to quit the European Union which led to a big drop in the value of the pound, making Britain’s steel operations more competitive on price. Tata – which has owned Britain’s main steel plants since 2007 – has been talking to Germany’s ThyssenKrupp industrial group about sharing the ownership and management of the UK’s main flat steel mills plus the IJMuiden plant in the Netherlands. The idea of the joint venture is generally thought to be positive for Tata as it enables some of the challenges of running the UK plants to be shared out. The UK plants that would be part of the joint venture employ about 11,000 people, and support many thousands more in the supply chain. The plants in question are centred on Port Talbot in South Wales. They add up to the most important part of Britain’s remaining steel operations and include several smaller “satellite” sites that process the steel from Port Talbot into products including pipe. The immediate future for Port Talbot looks reasonably settled after Tata said in early December that it would pump £1bn of investment into the facility and keep it open for at least five years. The decision followed an unexpected shake-up at the top of Tata Sons – the holding group for Tata Steel – that removed as chairman Cyrus Mistry, the architect of the proposal to get out of the UK steel sector. Ratan Tata, Tata's former chairman, returned briefly to the top job while a long-term replacement was found. atan Tata was behind the 2007 purchase of the European steel assets, and led the effort to oust Mistry. But undue optimism about what lies ahead is misplaced. Tata's undertaking to keep Port Talbot in operation depends on unions agreeing big changes to the company’s £15bn UK pension scheme. Even assuming workers agree to this, the questions over Port Talbot's competitiveness have not gone away. Safeguarding the plant beyond 2021 via a deal with ThyssenKrupp is far from certain. The German company is thought to be unimpressed by the technical capabilities of Port Talbot and its associated plants. The sites are far below the top rank of steel mills on quality and reliability. In its discussions with Tata, ThyssenKrupp is almost certainly interested mainly in taking over the IJMuiden steel works, a relatively modern unit which would be easy to integrate into its continental steel network. The German company may be mulling over the wisdom of taking on the unwanted UK assets which could ultimately represent a large financial burden. As for the top level management changes at Tata Sons these have prompted doubts about the company's entire long-term strategy. One senior Indian businessman calls the sudden removal of Mistry "shameful". Leaving aside the wrangling at the top of the company, the underlying business case for Tata to quit steelmaking in Britain seems every bit as strong now as it was in early 2016. Natarajan Chandrasekaran - a seasoned Tata executive who has been named as the new Tata chairman - may well consider its UK steel plants a lost cause. At this point the possibility of Stexit would loom once more. This would no doubt spark another outcry. But if the major part of the UK’s steel capacity were to disappear, the overall impact on UK manufacturing would be muted. Few manufacturers in the fastest growing areas such as advanced materials, specialist machinery and biochemistry have much need for home-made steel. Likewise, the steel industry and these other sectors have little in common when it comes to technology or skills. 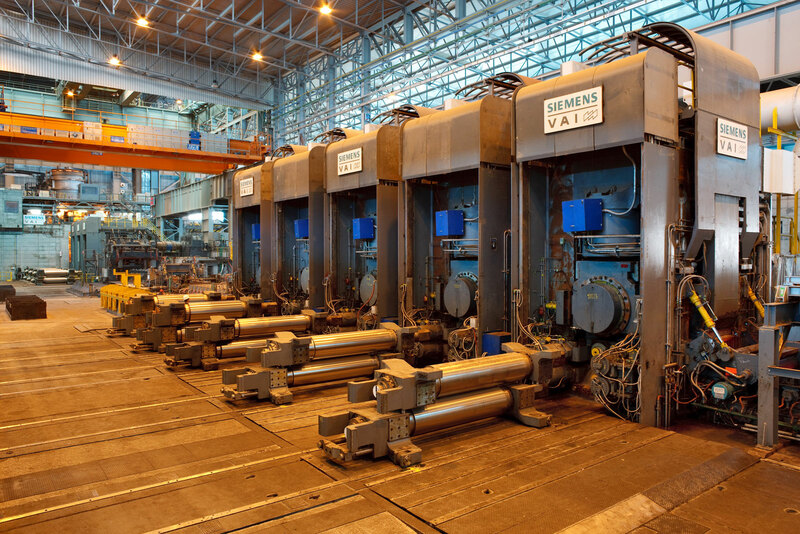 The growing connections between many areas of manufacturing and services – such as manufacturers taking care of machine maintenance and aftercare – have limited relevance to steel. It would be best for the UK if Stexit didn’t happen, but if it does British manufacturing has little to fear. © 2016 Made Here Now. All Rights Reserved.